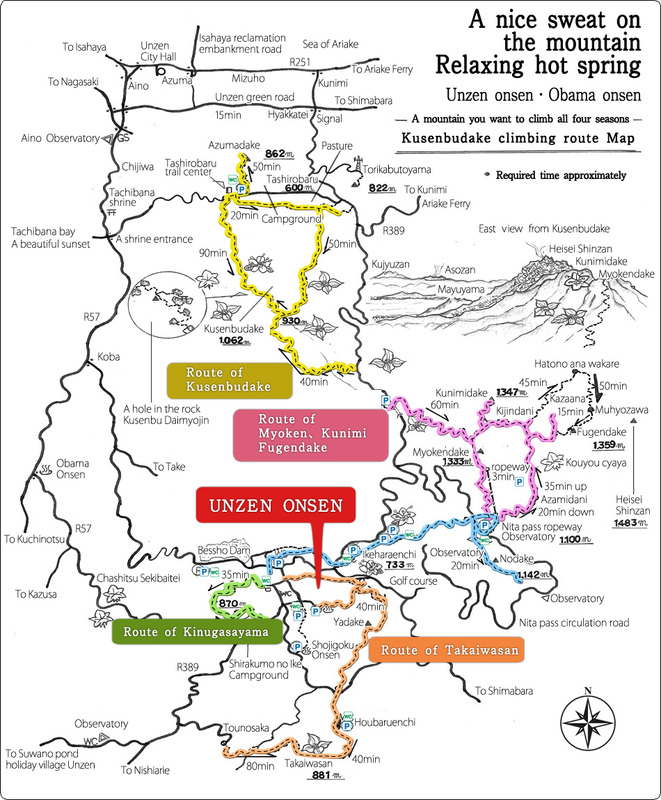 The following hiking guide(PDF) can be downloaded. Request to all hikers For safe hiking and the protection of the environment, please obey the following rules. The collection of all flowers, plants (including fruit, fallen leaves and branches), and capture of insects, birds, and animals is prohibited. Additionally, the collection of soil, stones, and rocks is prohibited as well. The hiking route is rugged, and weather conditions can change often on this mountain. Careless hiking can lead to accidents. Please take home your trash. Empty cans, paper, your trash, and other people's trash, please take it all home. Camping is prohibited. Furthermore, to protect birds and animals, please refrain from making loud noises such as with radios and loud voices etc. Open fires and littering cigarettes are prohibited. Please take home your cigarette butts.